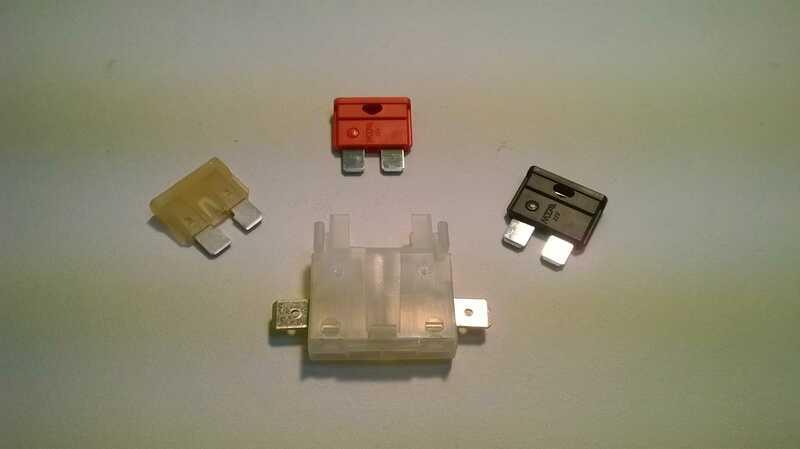 Blade type fuse holder/fuses that connect via 6.3mm push-on connectors. Blade fuses and holder that connect via 6.3mm push-on connectors. Two or more of these fuse holders can be snapped together to form a bank. When used with crimps fully insulated with boots [our type FCR-604] they are fully insulated and in most applications may simply be left floating as in-line fuses. The holder is conservatively rated at 30 amps continuous.